Newfoundland and Labrador's environment minister pointed at another Atlantic province banning the bag as an example of what can go wrong. But his counterpart in Prince Edward Island says he has no regrets. Three years after Newfoundland and Labrador cities passed a resolution to get rid of pesky plastics, the province's environment department is still considering a ban on single-use plastic bags. 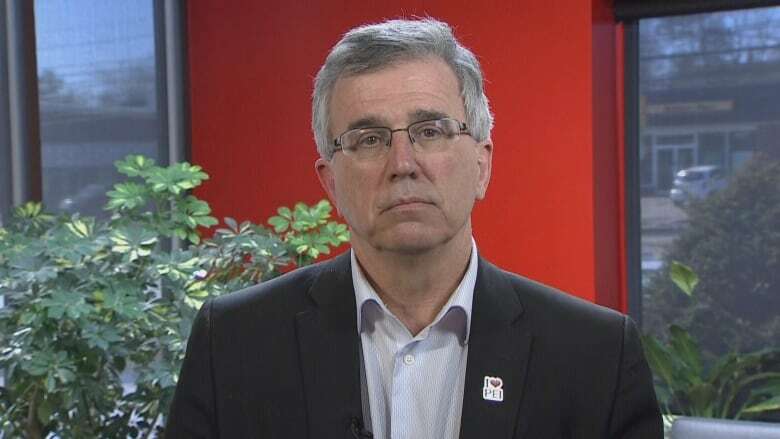 But just across the Gulf of St. Lawrence, another province is calling foul on the department's suggestion that it's a difficult process requiring more consultations, as Environment Minister Graham Letto suggested last week. Letto said he's still in the process of sifting through opinions on how a provincewide ban would work, much to the chagrin of Municipalities NL. He pointed to Prince Edward Island's attempt to put a ban in place by July, suggesting the island regretted the move. "They've learned from their implementation that they did it too quickly," Letto said. "They're having issues now." Prince Edward Island's own environment minister, however, shot down Letto's claim. Officials there are harbouring "not one bit of regret," Minister Richard Brown told CBC's Anthony Germain on Wednesday. "Look, people are watching international news, they're seeing plastic all in our oceans, they're seeing plastic destroying habitats," Brown said. "They are mad at what they see on the news and they want changes." Brown shook off the idea that businesses are against the ban, which Letto said prompted him to delay the decision for further consultations. "We're very, very happy with the response of our private sector here. They know the ban is coming here, we've been meeting with them, and companies have been getting their paper bag orders in," Brown said. "They're all on board. We heard some concerns, but we did do a six-month delay for them in order for them to get ready for this, and they're stepping up to the plate." Brown also said he wants to expand on that momentum by supporting a Canada-wide ban. Prince Edward Island currently uses about 30 million bags annually — nearly 200 each year for every person in the province — but Brown pointed to polling that suggests 80 per cent of Atlantic Canada support government-led bans. "We're doing the right thing. Islanders want us to do the right thing, and islanders are willing to participate if it means improving the environment," he said. Brown offered advice to Letto. "Ban single-use plastic bags. You will have your population on side. And the business community will follow you."